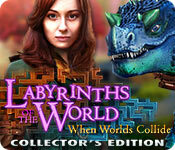 Labyrinths of the World: When Worlds Collide Collector's Edition is rated 3.2 out of 5 by 29. Rated 5 out of 5 by Wandering111 from A great game for its genre! I do not understand the negative reviews about this game! The game is great for its genre-puzzles, search for items. Rated 5 out of 5 by Delorean01 from Immensely Entertaining! I absolutely loved this game - it has everything I am looking for - utterly superb graphics, great storyline, collectibles that you can keep track of, and a decent length. Although we've seen everything before in terms of mini-games and HOGs, I was thrilled and very entertained by this instalment of LOTW. Kudos to the developers - just awesome. More of the same please! Rated 5 out of 5 by blondiern67 from new Labyrinth game Yeah!!! I have every Labyrinth game and love them all. Yes I do get tired of bailing Margaret out of trouble, but I enjoy the graphics and games. I like being able to decide on hard or easy puzzles. I think this one is of the same quality and I am adding to my collection. Rated 5 out of 5 by hopqueen from Just as good as the last LotW! I really liked the last Labyrinths of the World game, and this one is just as enjoyable. It's a very attractive game with lots to pick up, solve, and do in each room. These games give you the option of easy or hard on each puzzle, and they let you know when there's a collectible in the room or scene so that you don't forget. I like these two features a lot and wish more games did that. I'll say that the first puzzle I did was on hard but was relatively simple. I'd call it medium at most. It was still fun though. The story includes a book that needs to be destroyed because each of its owners has disappeared. No spoilers, but I'm enjoying the book theme throughout the game. This is a hard one to stop playing! Rated 5 out of 5 by biscuitsmama from SOARING DRAGONS AND AWESOME GRAPHICS MAKE THIS A SPECIAL LABYRINTHS GAME In Labyrinths of the World: When Worlds Collide, the eighth game in the Labyrinths of the World Series, you and your sister Margaret have been hired by a British Library as consultants in preparation for a rare books exhibition. Margaret is thrilled as she has been trying to get her hands on a rare book called The Gates, and because it has been linked to several disappearances she wants to make sure it isn’t harmful. You and Margaret are both Seekers, individuals who have a rare gift and can travel between worlds, helping to maintain safety and peace in this world by protecting it from outside threats. As you and Margaret are preparing the books for the exhibition you learn that one rare book is missing. Something odd has happened at the museum as one of the librarians happened to disappear after finding the book, as did several of its previous owners. When Margaret finds and accidentally opens the book, she is taken through a portal and now you must follow her. Will your abilities as a Seeker help you find Margaret before it is too late? For the most part I have stopped including technical information in my reviews as most games have the same settings. But I want to mention that this developer offers us the option of selecting between “Easy or Hard” puzzles when setting up the gameplay. Even though the puzzles offer both options, you can change it for each puzzle. The only suggestion I have for the developer is that in the Custom game selection I would like the option of setting my hint and skip time without a bottom time limit being set since I tend to be a bit impatient when I need a hint and I think 15 seconds is too long. The HOPS are overall quite excellent but if you prefer not to search for items you can choose to play an alternate match-3 game. The first HOP scene is a very creative and well-designed story type scene. I loved this scene and had to work to find the items. I doubt that I have enjoyed other story type scenes as much as I did this one. Although the first scene was terrific it was followed by several other storybook scenes that were basically very easy. There are some additional HOPS that I think are as good as the first one so I am very happy with the game that seems to be an improvement in some respects. Although the HOPS are what I consider to be excellent, I find the puzzles to be quite easy. I have seen many of the puzzles in other games from this development team and, at least in the demo I didn’t find anything with the puzzles that I felt was different or creative. That being said, I realize that when someone plays as many HOPA games as I have over the past 14 years that it is not often that something new comes along. If you prefer the CE version of a game this one includes quite a few extra goodies such as Collectible Statuettes, Missing Book Pages, and Crystals to find. There are also 33 Achievements, 11 Wallpapers, 32 Movies, Seller Gallery (use the crystals you find to buy items), and 5 Music Tracks. You can also replay 22 Mini-games and 19 HOPs. Other extras include the Bonus Game and a Strategy Guide. Although I am fairly tired of the game’s evil wizard theme, I still believe it is an excellent game and one that I will add to my gaming library. Domini has created a masterpiece, IMHO. I had a lot of fun playing the HOPS and solving the puzzles. At least for me I enjoyed the gameplay factor that many will think is just more of the same old thing but when you love HOPA games as much as I do and can hardly wait for the weekly offerings, it doesn’t matter that they seem familiar. I think this game stands out at least for me because of the beautiful graphics and the very well-told storyline. IMHO, Domini has created a masterpiece. Even though I love this game, I always recommend that you try the demo to see if Labyrinths of the World When Worlds Collide is a game you will enjoy. Happy gaming! Rated 5 out of 5 by rainworm from Walk through the Gates Introducing the new Labyrinth, we are led into an arena, a scene, reminding me of both, Ancient Rome as well as a medieval tournament: two gladiators, clothed as knights of fire and ice, ready for the fight and cheered by a crowd and a grim looking ruler. It is a new adventure with your sister, both of you are seekers and the British Library has called for your service in order to find and investigate a book (The Gates). The library is impressive but there are strange rumors as well: a librarian is said to have vanished there and some say, he is still within the place. On finding the book and handing it to Margaret, she cuts herself at a sharp edge, a drop of blood hits a page – and she sinks into an opening portal, as if the book had inhaled her into its world. As in the ‘dangerous game’, we need to go after her and are prepared for our journey in the next step: we will enter not one but three worlds, who are ruled by Aspir, a wizard and tyrant of this realm. They are the world of order, the world of chaos and the arena. Your fantastic journey will take you to all of these, you will meet rebels, who try to overthrow the tyranny of Aspir and will help you. It is a longer game with 5 chapters and the bonus chapter, many collectables, smooth gameplay with a bit more to and fro and a story which caught my interest, as it puts together all sorts of fantasy world elements with the idea of parallel worlds. Puzzles with easy/hard option and HOP scenes are mostly logically placed and bring progress in the game. Your task book has a notes section, where you can learn about previous games, who is who as well as the task section, showing, what to do next. All in all a very enjoyable game in a good series! Rated 5 out of 5 by sunnyglow from OPEN A PORTAL TO A WORLD OF MAGICAL GAME WIZARDRY – ONE OF DOMINI’S BEST! REVIEW BASED UPON THE ENTIRE GAME: 5 Chapter plus a Bonus Chapter – Strategy Guide: 53 Pages OVERVIEW: The Seekers are back – saving Earth from villainous evildoers from other worlds! As new hires at the British Library, you and your sister, Margaret, are in search of a book, “The Gates,” which may be tied to disappearances of its previous owners. When your sister discovers and opens the book, she is whisked into another planetary system consisting of three (3) worlds, ruled by the tyrannical wizard, Aspir. Aspir needs to harness you sister’s soul to open a portal to Earth. Upon arriving on Earth, his dastardly plan includes harvesting souls to amp his power and gain immortality. Jump into the book and traverse the three (3) worlds to save your sister and defeat this evildoer. OPINION: Be prepared! This is a LONG game! For once we have a game which is truly WORTH THE PRICE! Loving puzzles, I am always delighted when BFG offers a Domini game. This game, as in all their previous games, is a puzzle-lover’s delight. 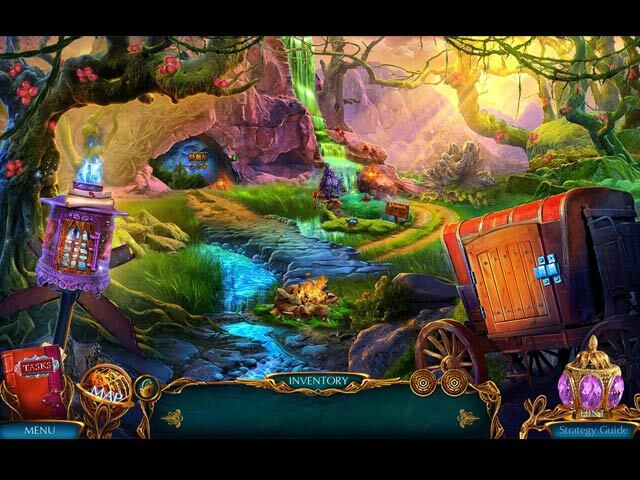 In addition to puzzle aficionados, this game should appeal to those who love fantasy games. Players will again enjoy the many extras which few other developers provide on this site. The pace is excellent with plenty of activities to keep the player engaged. There are no gimmicks in this game – the game stands on its own merits without these fillers. The game is built around a great story about two cosmic super-girls out to save the universe. I found the graphics blurry in the demo; however, within the main game and bonus chapter they are incredibly gorgeous – some scenes breathtaking! I always feel I get more for the money with Domini’s games. Domini Games is in a league of their own – THE CHAMPAGNE OF HOP developers! 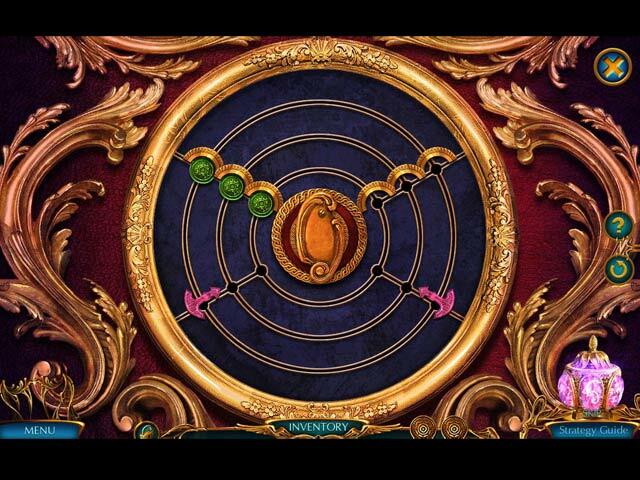 MECHANICS: There are four levels of play including a customized version. You can choose the level of difficulty for the puzzles within the game, easy and hard. However, you can still change the difficulty level for a puzzle while playing it as well. There are thirty-three (33) achievements to earn. Collect sixty-six (66) crystals, fifteen (15) pages and fifteen (15) statuettes. You use the crystals to purchase items for your collection room. An indicator bar on the inventory bar indicates if there are any collectibles to be found within the scene. Some of the items are easy to locate and others are not. Replay twenty-two (22) puzzles and nineteen (19) HOP scenes. There are twenty-two (22) wallpapers along with the usual video, musical selections and concept art. BONUS CHAPTER: This chapter is not tied to the main game. I found this chapter reminiscent of “Lord of the Rings.” Enter a fantasy world where the winged Pegasus is sacred and worshipped. Elder Aldehard is in peril. It appears that evildoer, Wizard Horther has stolen artifacts causing chaos in the kingdom. Help return order to this kingdom and defeat this evildoer! It is a long chapter and an excellent addition to the game. Surprisingly, in this chapter there are an equal number of HOP scenes and puzzles. HOP SCENES: There are nineteen (19) HOP scenes and eight (8) mini-HOP scenes (scenes in which you locate a small number of items). There are not as many HOP scenes as puzzles in the main game. If you like a HOP-heavy game, you probably will not like this game. Most of the scenes are storybook scenes with items in silhouette or in a list of items. There are a couple of replacement scenes in which you must place items back into the proper position within the scene. There are also some matching scenes as well. My favorite HOP scene is a creative one set upon two rotating circular plates. You must rotate the plates to combine two halves to create the item to be removed. You have the option to play a Match-3 game in lieu of the scenes. PUZZLES: As stated, this is a puzzle-lover’s delightt! There are thirty-seven (37) puzzles within this game. 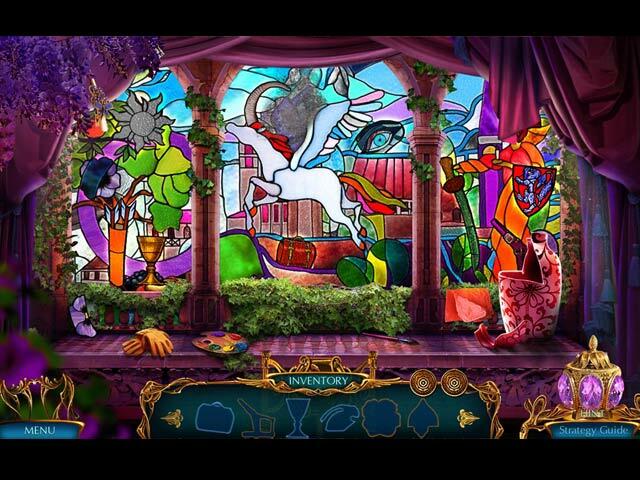 Feast on a variety of creatively designed puzzles. Some are fiendish in the hard mode. And again, there are more puzzles in the demo than seen in many developers’ entire game. Some are ones seen in other games, modified to fit the theme. However, there are some new ones as well. Most are creatively designed! There are puzzles which I am planning to replay this weekend! SPOILER: HERE ARE SOME PUZZLES AFTER THE DEMO: A. Switch puzzle. Switch shells and starfish so that they match a given diagram as to color. B. Mahjong puzzle. Remove matching tiles until all are gone. C. Physics problem. Adjust waves on five tracks so that all the balls reach the end at the same time D. Physics puzzle. Create a path for four balls at the top of grid to reach their appropriate cups at the bottom. Place given ramps into position to angle and lead the balls to the desired cups. E. Assembly puzzle. For five shields, place two halves of the shields into the correct slots to restore them. Use a stick to move them and position into the proper places. F. Maze puzzle. Place arrows in a grid so that an arrow, when released, will pick up all keys on a path to a keyhole. G. Matching puzzle. Move weapons to their appropriate slots by moving a wheel on a grid so that when the weapon follows a winding path it lands on the appropriate slot for that weapon. H. Physics puzzle. Instead of mirrors, move crystals into position to angle a beam of light so it makes contact with a shard of glass. I. Domino puzzle. Place domino-shaped runes into position so that the ends match up within a grid.